Comments: Conifer, native to Norfolk Island (midway between Australia and New Zealand). 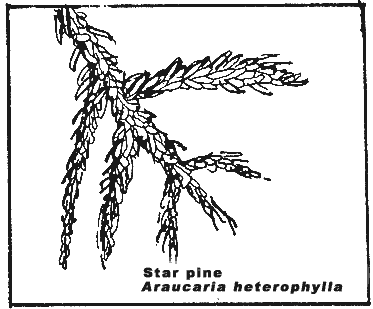 A very formal, pyramidal tree with beautifully proportioned branches spreading out in horizontal planes and densely covered with small, bright green, needle-like leaves. During Christmas, this tree is lighted and can be seen from Palo Alto as well as being seen from Mission Blvd. 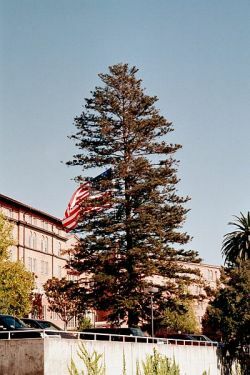 The tree is on the property of the Masonic Home.